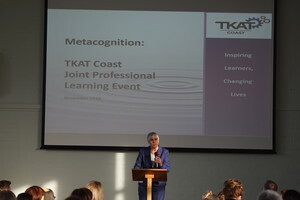 On the 5th of November 2018 Chichester High School hosted a JPL Day with a theme of metacognition and student self- regulation. 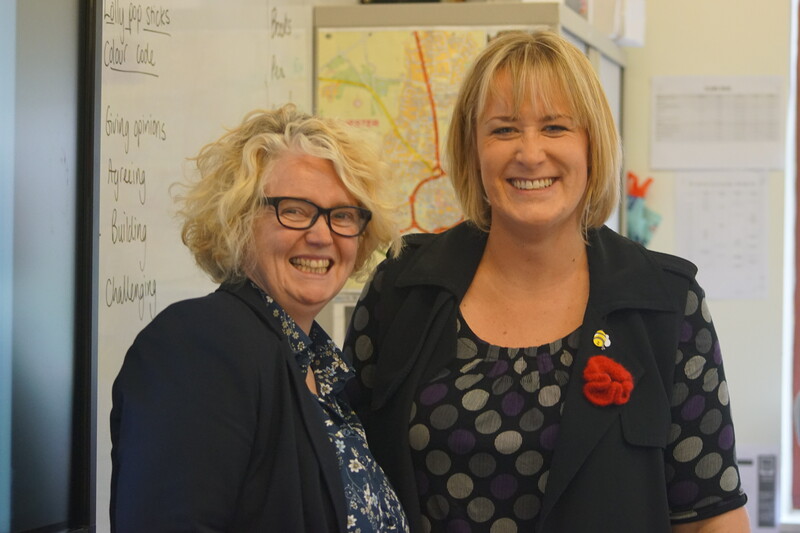 This was a Coast event and the schools, which took were Chichester High School, Havant Academy, The Academy Selsey, Milton Cross School, Bridgemary School, Tangmere Primary School, SEAL Primary School, Portfield School and Front Lawn Primary Academy. 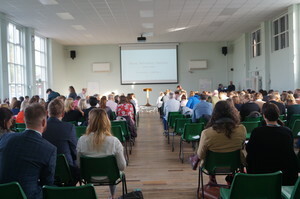 Four hundred delegates from nine schools attended the day, which included teachers, senior leaders and teaching assistants. All of the delegates attended two workshops, which were delivered by thirty-four trained facilitators. 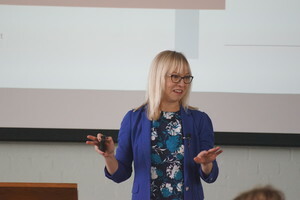 The delegates listened to a keynote speech delivered by Yasmin Maskatiya (Executive Head Teacher), Eleanor Stringer from the ‘EEF’ who collaborated on the metacognition guidelines and James Mannion, Director of ‘Rethinking Education’. In the afternoon delegates worked in departments and Primary phases. The whole day culminated in individual and group presentations in which we asked them to share with the cohort their plans for embedding metacognition and self-regulation. 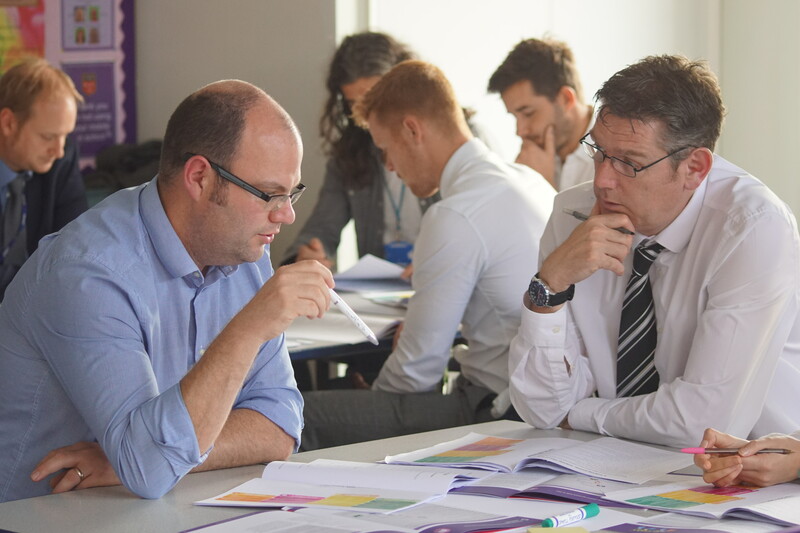 During Workshop A, delegates made sense of the EEF guidance on metacognition. In groups, they summarised the seven strands from the EEF guidance, came up with examples of what they may look like in practice and then presented these to the group. In workshop B, we focused on self-regulation and oracy. We identified a shared language of metacognition, group work guidelines and focused on the ‘how’, as well as the ‘what’ of learning. 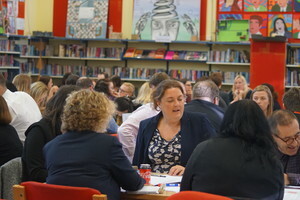 Delegates were provided with a range of practical strategies for developing and embedding metacognitive reflection in lessons. In this workshop, the delegates were provided with a number of examples of language frameworks for facilitating metacognitive reflection among students. They chose one, and designed a series of short activities to enable students to engage in metacognitive reflection through short-burst speaking and listening a ctivities. In the afternoon departments and primary phases worked collaboratively to plan. They created short term, medium and long term plans. Some of them focused on the language of metacognition whilst others created SOW, lesson plans, and resources. We ended the day with presentations. Whilst visiting the afternoon sessions we listened to rich conversations and we observed some amazing practice. We asked our teachers to share their plans with the whole cohort and they enthusiastically agreed. We are at the beginning of our metacognition journey. Much of it already exists in our current practice but we hope to use the techniques and strategies to make the learning more explicit for our students. If we all embrace this approach, our students will become more independent, have a much greater insight as to how they learn and will have an arsenal of revision techniques available to them. It was an amazing day and I would like to thank everybody who contributed.